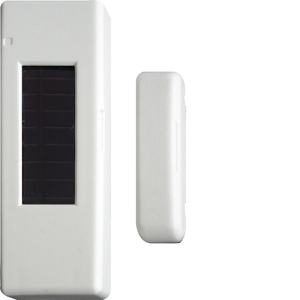 Wireless window/door contact FTK- with solar cell 75x25x12mm, pure white and anthracite. Adhesive foil mounting. Protection class IP54, therefore suitable for outdoor mounting. Smart Home sensor.